Facing a serious challenge from Republican Gov. Rick Scott, U.S. Sen. Bill Nelson, D-Fla., is calling on a potential 2020 Democratic potential candidate for help this weekend. 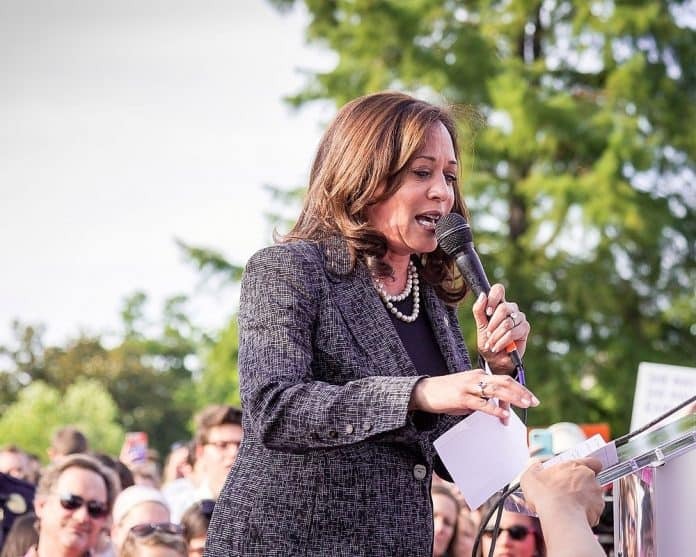 Nelson announced on Friday that U.S. Sen. Kamala Harris, D-Calif., who has garnered plenty of buzz as a possible challenger to President Donald Trump in two years, will be hitting the Sunshine State to help him this weekend. Harris will appear at a fundraiser for Nelson in Sarasota on Saturday. On Sunday morning, Harris is scheduled to speak to four different congregations in Miami. On Friday, Harris weighed in on why she is going to bat for Nelson. Harris isn’t the only Democrat looking at a presidential bid in 2020 who is helping Nelson out. Other prominent Democrats, including former Vice President Joe Biden and U.S. Sen. Cory Booker, D-NJ, have also gone to bat for Nelson and stumped with him in recent weeks. Nelson isn’t the only Florida Democrat looking to get a boost by campaigning alongside Harris. State Rep. Sean Shaw, D-Tampa, the Democrat running for state attorney general, will also campaign with Harris. Shaw faces former Judge Ashley Moody, the Republican nominee, in next month’s general election. Polls show a close contest between Nelson, who is running for a fourth term, and Scott who is facing term limits after eight years in Tallahassee. iberal Democrat BILL NELSON and Socialist ANDREW GILLUM are running for Senate & Governor respectively. Nelson / Gillum both proudly supports abolishing ICE, sanctuary cities, amnesty for millions of illegal aliens, using taxpayer funds for illegal aliens & DACA. In addition, both are weak on border security and national defense. If you OPPOSE illegal immigration, taxpayer funds used for illegal aliens, sanctuary cities, amnesty r Please VOTE NO for BILL NELSON & ANDREW GILLUM this November….we can’t afford anymore Democrats. Both supported by both La Raza & MALDEF which says it all. To Democrats programs like (Deferred Action for Childhood Arrivals, DACA) and (Temporary Protective Status, TPS.) are permanent programs. There is nothing temporary about these programs to the left. The goal for Democrats is to flood/lure the country with illegal aliens & refugees, then fight against / eliminate deportations. Democrats want to encourage, reward, protect illegal aliens with jobs, amnesty, drivers licenses, discounts for college tuition, scholarships, then after they’re here….protect them from deportation. This creates MORE illegal entry and the Democrats know this. The current migration at our southern border is costing taxpayers a Kings Ransom. Fleeing persecution? or fleeing for freebies? they sure don’t stay in Mexico when they reach “safety” or ask for political asylum in Mexico. Why? because Mexico will give them NOTHING. So they make the long journey to our border, our generous Democrats and our tax dollars. Just debating DACA in congress is costing taxpayers hundreds of thousands of dollars….. thank the parents. Just a few examples of the more outrageous costs associated with illegal immigration, we will pass this burden on to our children and grand children as has been passed on to us. *Taxpayers in numerous states are funding in state college tuition discounts for illegal aliens. Cost to taxpayers over a billion dollars annually. *$3Million Dollars a DAY is spent to incarcerate, process Illegal aliens in the Criminal justice system. I repeat 3 MILLION a DAY. If you OPPOSE illegal immigration, taxpayer funds used for illegal aliens, sanctuary cities, non citizens voting, open borders, amnesty for millions of illegal aliens, weak border security, tax increases. VOTE NO for ALL Democrats this November.